For over 70 years we have committed to provide the highest quality and service to our customers. Experience, reliability and safety are at the core of everything we do. As the industry changes, we are committed to modernize and adapt while preserving our legacy of quality and our commitment to safety. We specialize in municipal, commercial, and industrial work with a large portfolio including schools, water treatment plants, churches, office buildings, textile plants, and other manufacturing facilities. So, whether your project is conventional construction or design build we have the experience to meet your needs. Technology on the jobsite may be changing at the speed of light, but one thing that will never change is the inherent dangerous nature of construction. At Gastonia Plumbing & Heating, we believe our employees are our greatest asset, and safety is a cornerstone of our company. Comprehensive programs have been implemented to provide our employees the proper training to handle hazardous job conditions. Competent person trenching, the latest fall protection equipment and training, extensive Hazcom, confined space entry procedures, and an “All hardhats, all the time” policy, backed up by meticulous documentation are just a few of the parts of our strong safety program. We have earned training and safety awards from our insurance carriers and the Carolina’s AGC. More importantly though we have earned an insurance modifier which is less than the industry standard, proving that working safely is just as profitable as finishing a job ahead of schedule. Each year Gastonia Plumbing & Heating holds an annual “Safety Day” at which time all employees participate in courses which are specific to situations faced in our industry culminating in incentive bonuses earned for working safely and without “lost work time accidents.” At Gastonia Plumbing & Heating we put safety first because our employees are the greatest assets we have. In 70 years Gastonia Plumbing & Heating has seen many changes in the construction industry. Slide rules and grade stakes have been replaced with computerized estimating and field lasers. Means and methods which were once common are now obsolete. In order to survive GP&H has embraced technology in both the office and on the jobsite. However, old fashion values of hard work, careful planning and attention to detail remain the best value we have to offer our customers. At Gastonia Plumbing & Heating, our willingness to provide customers with the absolute best service and most dependable experience possible has taken us to many different jobsites. 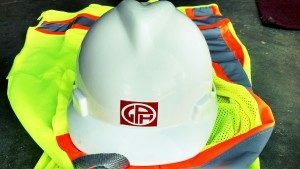 From cutting edge installation of chemical lines at automated waste treatment plants, to the largest continuous concrete pour in state history, to the local school addition in your home town, you can find GP&H employees providing the best possible plumbing installation for your hard earned dollar. For nearly 70 years Gastonia Plumbing & Heating has been owned and operated by the Styers family. In that 70 years, there have been major advancements in tools, techniques, design methodology, and project delivery. GP&H is constantly evolving to embrace these advancements to provide the highest level of quality through the use of our broad experience. Founded in 1947 by J. B. Styers and his wife Iva, GP&H took advantage of of the post World War II economy performing utility and plumbing work across much of the western part of North and South Carolina. Several generations of the Styers family continue working in the family business. Today GP&H continues to experience unprecedented success in the plumbing industry. Hard work, deliberate planning, and three generations of planning mean doing the job right the first time. Gastonia Plumbing & Heating Co.